All my recent trips in Europe had a hint of war memories to them. I have been debating with my fellow travellers about why there was a need to keep the wars so alive. When my university announced a day trip to Flensburg, I thought it was about the war again. So, I got my writer’s arsenal ready: a mini scribbling pad, pen, and my camera gear. I was ready to drink up every single word my tour guide uttered about Flensburg’s history and its role in the World Wars. In Flensburg, an icy blast of wind welcomed us. We walked on the wet cobbled stones shoving our hands into the pockets to keep ourselves warm. Our American-German tour guide, Ann Jenson, gave us an ear to ear grin and said: “the weather is in your favour today”. I thought it was a joke and laughed as the temperature was six degrees. Later, I found out that the typical weather during mid-November would be colder, rainier and darker. Despite the cold, my mood lightened up with the sight of Christmas market decorations. I learnt Christmas markets origin was in Germany and they are set up four weeks before Christmas. Ann said, “no one will ever get lost in Flensburg” and comforted us, just in case. 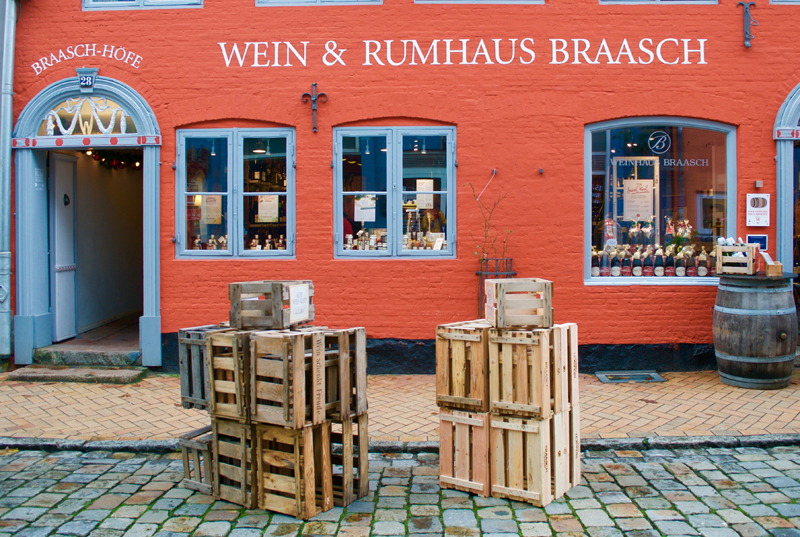 Flensburg is the third largest city in Schleswig-Holstein, Germany. It’s only 54 km in width with 90 thousand residents. One can see the Danish influence as it borders Denmark which is 7 km from the city center to be precise. Ann suggested to think of Flensburg as a fish. We have to remember the head and tail of the fish, which were big churches at either end of the town and we will be able to navigate around the town. After the introduction, she casually announced, “we will start our excursion by spending time in a rum museum”, and my jaw dropped. “Are you kidding? Are we not going to talk about the war?” was my reaction. And then I thought, it was perhaps about rum’s crucial role in the war. 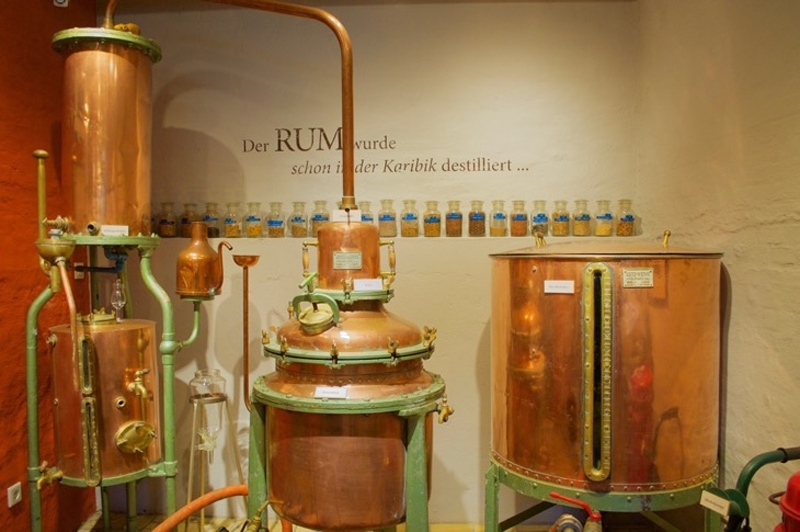 When I heard rum started as a medicine in the ancient times, especially, for sore throat, toothache and to keep oneself warm as it has a numbing effect on the body parts, my respect for rum went up half a notch. I further heard it was made out of sugar byproducts such as molasses and my respect for rum dropped half a notch. The sugarcane comes from the Caribbean, and the majority of the rum production in the world happens in the Caribbean. And lo, the Pirates of the Caribbean and rum addiction, it all made sense now. While I was still frowning, we received glasses of rum to sample. The strong nauseating smell of the rum didn’t help ease my frown. Just when I was about to take my water bottle out to fill the glass, Ann recommended savouring the rum without diluting it. She advised against mixing it with coke or any other beverage. I sheepishly pushed my water bottle back into the bag. I gulped it in one go like medicine. Then I noticed Ann enacting how one should savour the special rum by letting the taste linger on the middle of the tongue for a few seconds, then on the left side and then the right side of the tongue for a few seconds. My eyes watered and my face flushed. Before I recovered, I got some Vanilla rum to sample. It smelt better and tasted sweeter. We finished the sampling with special chocolate to taste as if to ensure if the sugar content in the rum was not enough to work on our waistline, chocolate will take care of it. And this addictive special chocolate is eaten only after drinking rum. I already found myself rooting for it. 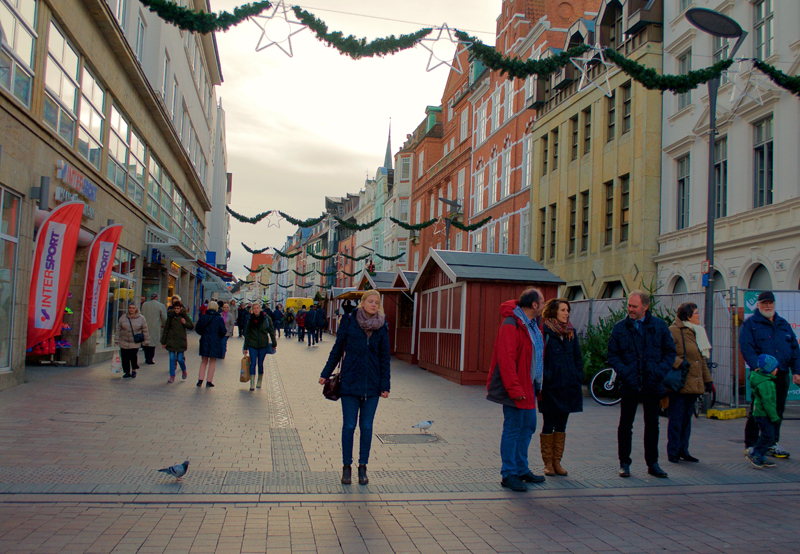 After the rum tasting, we spoke a little bit about the double culture (Danish and German) of Flensburg and perhaps about the architecture, but it was all hazy for me. I felt so wise and elated after a few tablespoons of rum with some chocolate, I didn’t feel the need to learn more about Flensburg’s history. Ann only made it easy by clarifying it was not necessary for us to walk in a straight line after the gruelling rum tasting session. 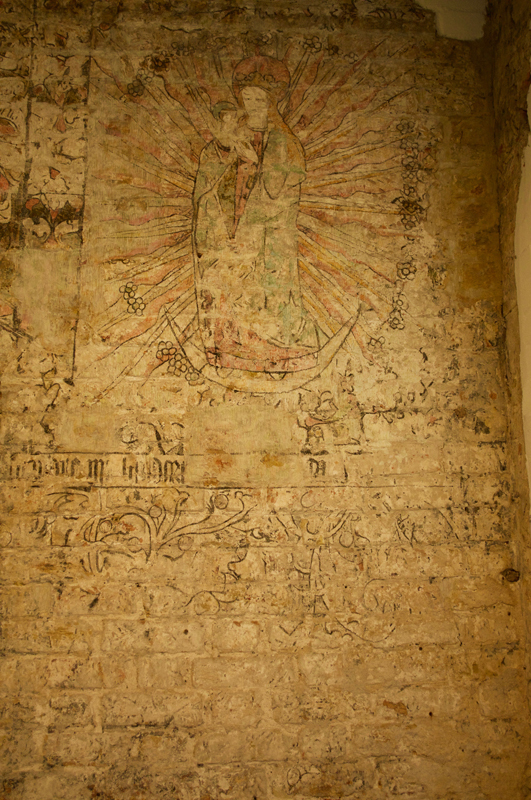 A painting from 1490 still intact and found on a wall of a medical store. After lunch, just when I began to feel no more elated it was time to visit the Flensburg brewery and again without any mention of the war. 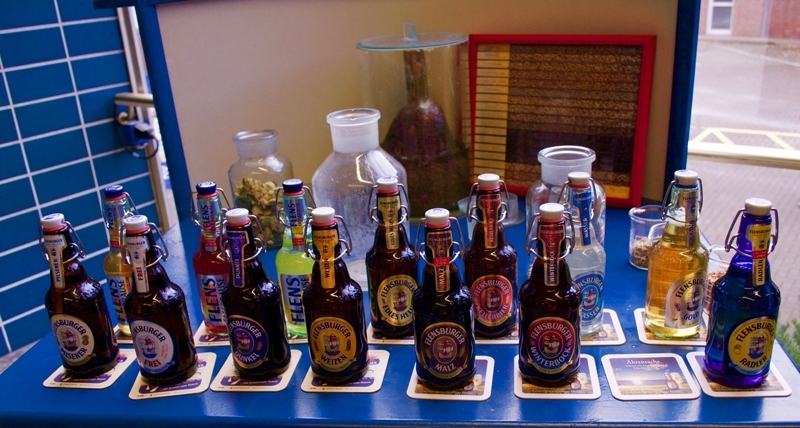 I know half of my classmates were in it for the brewery, for Flensburg is one of the popular beers in Germany. The beer owes its unique taste to the water used in brewing. It originates from the underground glacier streams of Northern Scandinavia, and it is free of pollutants or so the story goes. 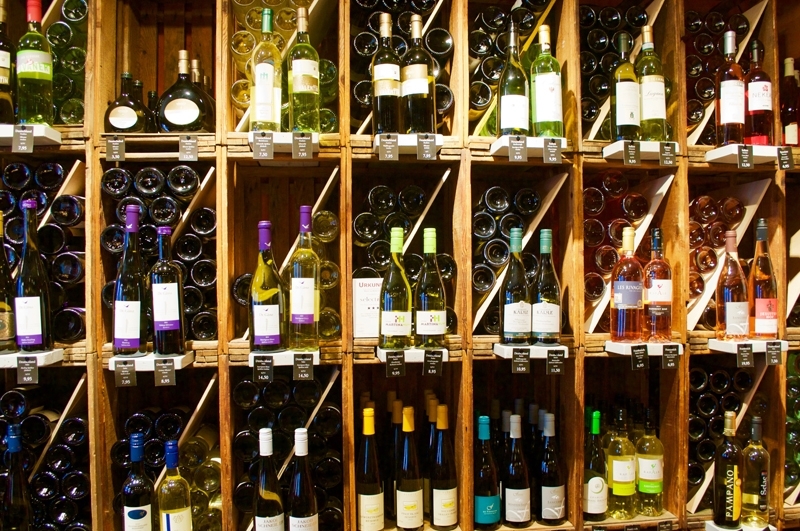 Ann added, “ask for tap water in restaurants to make sure you get the best tasting water”. I have to admit beer brewing is a sophisticated business. While I imagined a noisy factory with soiled, scandalous looking, reeking men working underground, the brewery had minimal manual labour. It has tanks the size of the Eiffel tower and a data centre to monitor the whole process. They had approximately forty kinds of beer. The non-alcoholic beer brews in stainless steel tanks while some alcoholic beer brew in copper tanks. And the employees have free beer accounts like bank accounts. They get 2 litres of free beer for every working day. 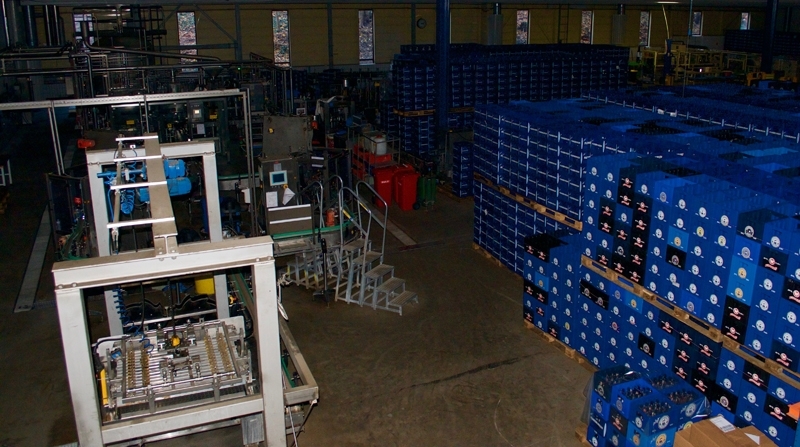 Here’s where the bottles are finally packed and sent out. Love the bottles and their environmentally friendly swing tops and reused up to 35 times. We wrapped up our tour with an unlimited assortment of beer with snacks to help gulp it down, on the house at that. We even had the staff assisting us to choose the right kind of beer to our taste. Goes without saying what we saw during the rest of our trip was hazy and dreamlike. The next day when I peered into the empty pages of my scribbling pad, it dawned on me, instead of drinking on the war history I ended up drinking a lot of alcohol. It was an unadulterated alcoholic trip. And not all of Germany is about war, it is also about alcohol, and Germany started to grow on me.